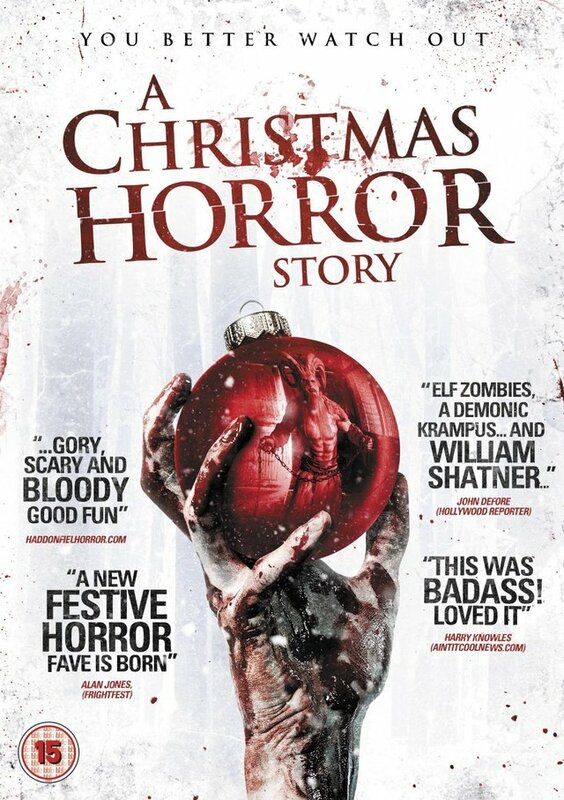 A Christmas Horror Story is out on DVD on November 9th, from Entertainment One. From the producers of Splice and Ginger Snaps comes the next chapter in classic Christmas horror. Genre legend William Shatner (Star Trek) narrates four interwoven stories that delve into the darker side of the festive season. Featuring an exciting young cast and amazing special effects, it’s a Santa’s sack-full of fun! Christmas: a time of joy, peace and goodwill… unless you live in Bailey Downs. For some folks in this small town Christmas Eve isn’t about getting together with loved ones and exchanging presents – it’s a desperate fight for survival. To be in with a chance of winning A Christmas Horror Story on DVD, just answer the question below. The competition closes at 23.59 (GMT) on Friday 20th November 2015.